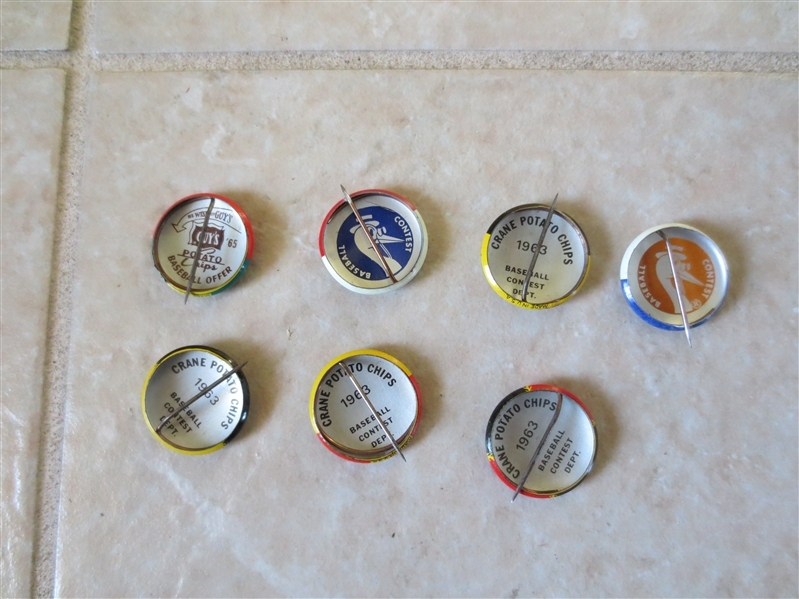 Lot Detail - (7) different 1963 Crane Potato Chip baseball team pins 3/4"
(7) different 1963 Crane Potato Chip baseball team pins 3/4"
What we have here are seven different 1963 Crane Potato Chip baseball team pins. 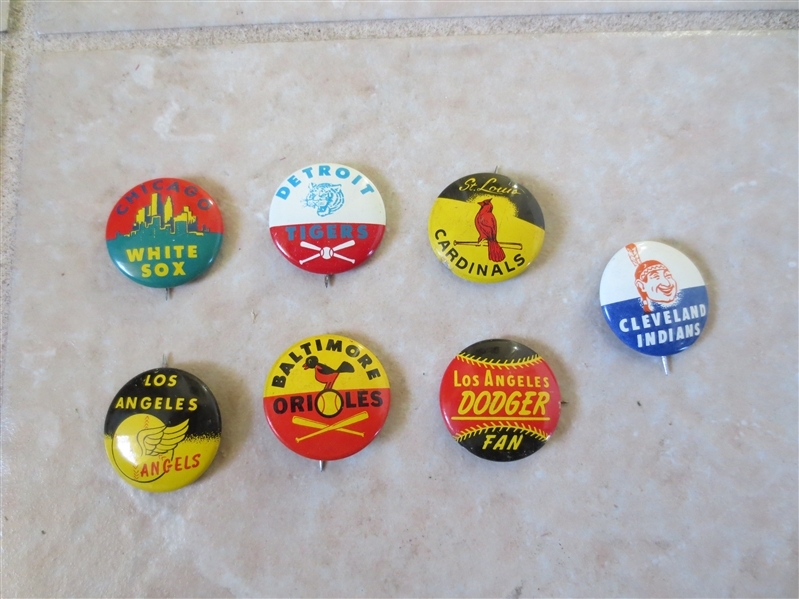 They are the Orioles, Tigers, Cardinals, Dodgers, Angels, White Sox, and Indians. They measure 3/4" in length.